Ever wonder what’s at the forefront of an elite riders mind when it comes to bike training in the summertime? Ted King, a 10-year professional cycling veteran who’s competed in races like the Tour de France and Giro d’Italia, says there are a few important factors to consider during warm weather months. King is currently in his seventh European professional season as a member of the Cannondale-Garmin Pro Cycling team and recently placed seventh in the 2013 US National Championships Road Race. He’s also previously taught indoor and virtual cycling classes with Peloton. 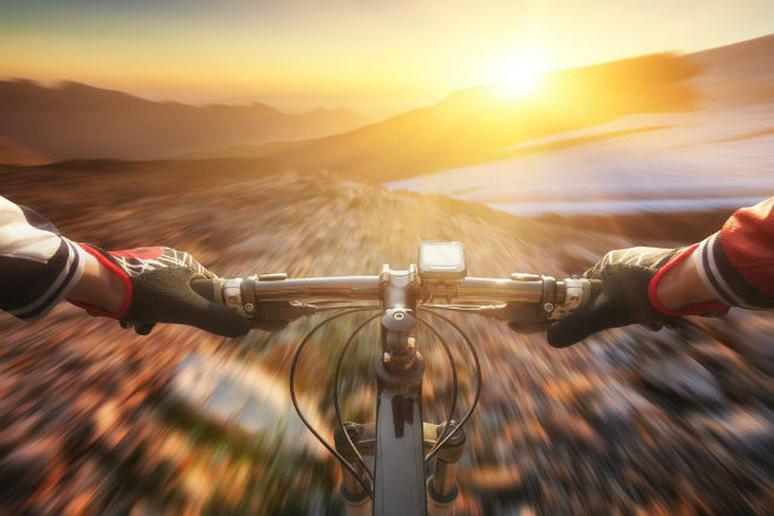 Below, King offers six important elements that every cyclist should consider before taking their two-wheeler out onto the open road this summer. "Hydration is obvious, but the take-home message is that you should likely be drinking more than just water," King said "When you sweat you lose electrolytes and in the sultry summer months you're sweating more than normal. Furthermore if you're sweating, you're probably burning through calories too. The best way to hydrate is with a relatively low-calorie, high-electrolyte drink mix like Skratch. Plus, Skratch is all natural and delicious." "People ask me all the time what's the best piece of advice for getting into cycling. I say ride... and ride a lot," King explained. "If you're taking this advice there's a very good chance you're in the sun. You'll still get a nice tan if you're slathered in sunscreen and in the sun, however you also won't look like a leather shoe when you're in your 40s. Love your skin." Be Careful when its damp. "Hear me out—depending on where you live, the winter months are likely wetter than the warm summer months. Wet roads are actually clean roads since the frequent rain cleans the roads of dirt, grime, and nasty stuff coming off of cars," King said. "Meanwhile, in the dryer summer months, vehicles emit oil which then, when it finally does rain, causes very slick roads at even the slightest rain, especially on the painted lines. Long story short: in the summer, be especially careful when it's damp because wet roads are slick roads." Always have at least a basic light. Summer months mean more hours of daylight. This is a great thing so that it's not already approaching dusk when you're checking out of work at 5 p.m. and pining for a bike ride," said King. "That said, you don't want to get caught out in the dark, three hours after work because you got too excited with the extra daylight. Summer tip: always have at least a basic light." "I think this is good advice regardless of the time of year," King said. "Virtually any bike can handle pretty elementary conditions. Dirt paths and grassy trails are a good way to test your skills on a basic road bike. From there, rails-to-trails and crazy goat paths that are 'the roads less traveled' often lead to the coolest adventures." "Waving to other cyclists is cool," King said. "Wave a quick 'thank you' to friendly vehicles when they did something that obviously took you or your safety into consideration. Wave to joggers and dog walkers. Just wave."